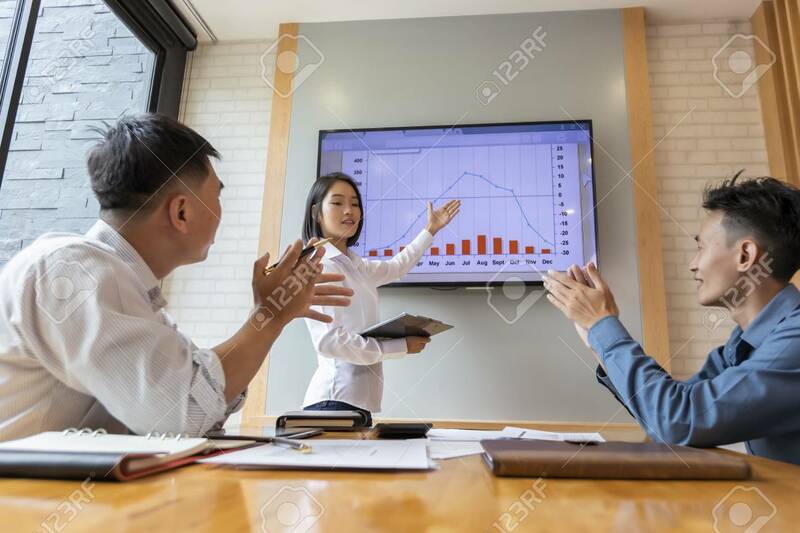 Beautiful Businesswoman Gives Report Or Presentation To Her Business Colleagues In The Conference Room. She Show Graphic Charts And Company's Growth On The Wall TV. Lizenzfreie Fotos, Bilder Und Stock Fotografie. Image 116540560. Standard-Bild - Beautiful businesswoman gives report or presentation to her business colleagues in the conference room. She show graphic charts and company's growth on the wall TV. Beautiful businesswoman gives report or presentation to her business colleagues in the conference room. She show graphic charts and company's growth on the wall TV.